TCCC The Tactical Combat Casualty Care (TCCC) course introduces evidence-based, life-saving techniques and strategies for providing the best trauma care on the battlefield. NAEMT conducts TCCC courses under the auspices of its PHTLS program, the recognized world leader in prehospital trauma education. 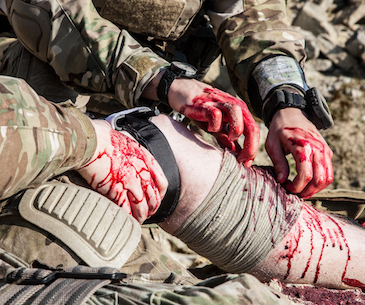 NAEMT’s TCCC courses use the PHTLS Military textbook and are fully compliant with the Department of Defense’s Committee on Tactical Combat Casualty Care (CoTCCC) guidelines. It is the only TCCC course endorsed by the American College of Surgeons. The 2-day provider course is designed for combat EMS/military personnel, including medics, corpsmen, and para-rescue personnel deploying in support of combat operations. The course’s content and structure also can be modified for law enforcement special weapons and tactics and special response teams. Certification comes from NAEMT and is valid for 4 years. This course gives the student a basic understanding of the main aspects of Occupational Hygiene. It will allow them to provide a “Recognition, Evaluation and Control“ advice service to remote locations by communicating directly with their assigned Professional Occupational Hygienist. 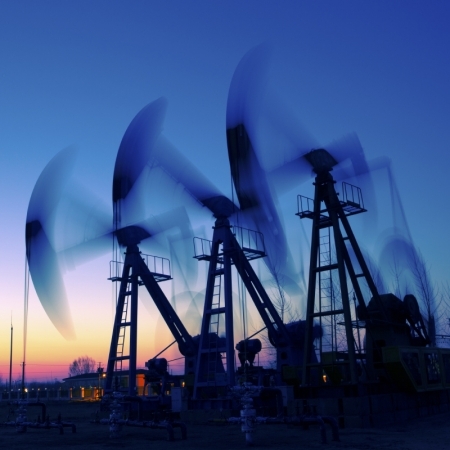 The course will also allow consideration of progressing to the advanced modules in specific subject disciplines such as Noise, Hazardous Substances and The Thermal Environment. From the original creators of the MIRA course, comes another industry-leading programme specifically designed for medical practitioners operating in challenging environments. 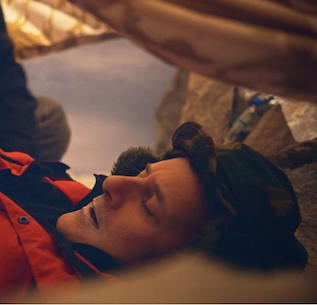 Incorporating the best elements of MIRA with the new gold standard FREC Level 3 syllabus, the ground-breaking course will challenge the most seasoned remote/hostile environment/expedition medic. Students who pass the course will leave with updated and new skills as well as 2 accredited certificates from QUALSAFE and the ROYAL COLLEGE OF SURGEONS EDINBURGH respectively. The course has been designed by Industry and Special-Forces veterans, providing only credible and ‘Real-World’ knowledge and skills to participants, trimming the fat off most courses currently available. We focus on both gold-standard and improvised techniques. This Course has been endorsed by Faculty of Pre-Hospital Care of the Royal College of Surgeons of Edinburgh. 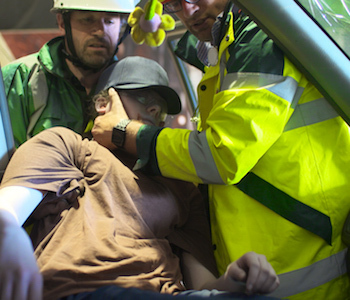 The Course complies with the teaching and educational standards of the Faculty of Pre-Hospital Care. The course includes over 13 hours of practical scenarios and moulages, ensuring each participant receives the finest one-to-one training, benefitting from our Instructor’s knowledge and experiences. 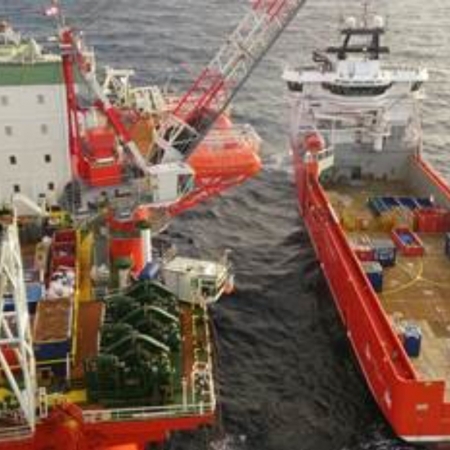 The Iqarus Offshore First Aid (OFA) course is an intense four day programme, approved by the Health & Safety Executive and compliant with the Offshore Installations and Pipeline Works (First Aid) Regulations 1989. Successful candidates will be trained to deliver basic First Aid independently and to provide effective support to the Offshore Medic when necessary. The syllabus covers the aims and principles of first aid, basic life support and automated defibrillation, use of, manual suction devices, airways and oxygen musculoskeletal injuries bleeding and shock management, the unconscious casualty, hypo and hyperthermia, the effects of immersion, common toxins, burns, eye injuries, inhalation of hot gases or products of combustion, common illnesses, hygiene and infection control, patient transport, analgesia, communication and record maintenance. Successful candidates will receive a certificate, approved by the HSE and valid for 3 years. We are able to offer the client a bespoke training solution to incorporate specific incidents working in conjunction with the client’s medical protocols and Medical Emergency Response Plan. The combination of the course content, team building and training methods, ensures that the platform, vessel or remote working environment has a skilled & confident medical resource & the best standard of care for the workforce. Are you media or a production crew operating in remote or dangerous locations? Do you have the life-saving skills to deal with complex medical emergencies you could encounter whilst in the field? At Iqarus we understand the risks the media face when operating in tough environments from conflicts to natural disasters. Our former Special Forces medical experts, who have decades of experience in supporting media and production teams, have designed a new training course that offers the ultimate protection. Media Operations Emergency Training provides deployed media personnel with the equipment and skills to manage life-threatening traumatic injuries and acute illness. For added security, bespoke medical kits issued on completion of the accredited training are linked to a 24/7 doctor on call system. • Life-saving skills, support and equipment to manage complete range of scenarios including severe trauma, medical emergencies and exposure to intentional or accidental chemical or biological agent release. • Comprehensive and bespoke medical kit and aide memoir on completion of accredited training, linked to a 24/7 doctor on call system. The course is modular in its design with emphasis on practical scenarios and the ‘how and why’ people are injured and how to deal with those injuries. Capability will be generated through a short (3 day) course, providing the underpinning knowledge and practical experience through accurate simulation. International travel is a feature of modern life for all of us, from the gap year student to the executive business traveller. 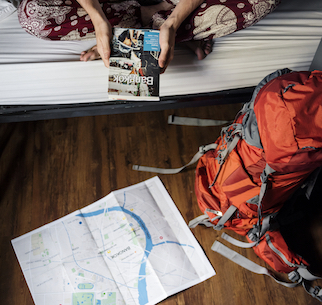 Despite being commonplace, travel to unfamiliar environments can expose the unwary to difficulty and discomfort, ranging from embarrassment, financial and business loss and severe risks to health. Even the most seasoned traveller will benefit from the Iqarus Lone Traveller Awareness training which in a short, enjoyable and accessible programme will grant a practical understanding of safe travel including the diverse global cultural norms, appropriate dress and behaviour, personal security, travel and hotel safety, internet and media security and health protection and even efficient packing advice. The course is suitable and relevant for all travellers, from gap year students, adventurers and business frequent fliers. The Hostile Environment First Aid Course (HEFAC) is suitable for those who are likely to find themselves in harm’s way, either through natural hazards, climatic extremes or delayed evacuation, or as a result of deliberate hostile action. 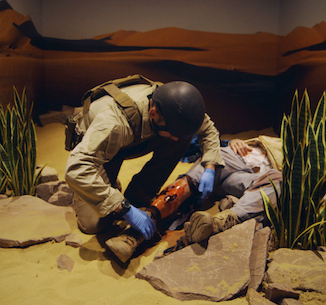 Training is conducted over five days and is focused on practical skills, which will be conducted in our immersive hostile environment training suite and climatic training simulators. Capability generated there will be directly transferable to any operational environment. The PHPLS course provides the knowledge and practical procedures necessary for effective treatment of childhood emergencies prior to hospital admission. The two day syllabus covers major injury, and life threatening acute illnesses to which children are susceptible, combined with common underlying chronic diseases which complicate diagnosis and treatment Training will enhance prompt recognition and immediate effective treatment, improving survivability of paediatric patients. The course focuses on how to recognise and effectively manage the treatment of a seriously ill and or injured child, using a structured approach. PHPLS is suitable for those from a medical, nursing background, successful candidates will receive a certificate, accredited by ALSG. • Highly interactive activities that satisfy the knowledge requirements of ACLS training. • Substantial savings over conventional classroom ACLS courses. • Instant continuing education credits upon successful completion of the online course. • Anytime, anywhere learning at your own pace, and in the comfort of your home or office. Now you can complete the entire theory element of the course in just a few hours. PLEASE NOTE: The Online course is theory based and DOES NOT teach practical skills such as ET intubation that will be required for the practical assessment. We therefore recommend this course for ALS level practitioners only. eACLS is developed in partnership with the American College of Emergency Physicians (ACEP), a leader in emergency medicine education and health education. If you wish to earn an official eACLS Course Completion Card endorsed by the American College of Emergency Physicians, you must also complete a practical skills examination at our approved eACLS Educational Center in Herefordshire UK. PHTLS NAEMT’s Pre-hospital Trauma Life Support (PHTLS) is recognised around the world as the leading continuing education program for pre-hospital emergency trauma care. PHTLS promotes excellence in trauma patient management through global education of all providers involved in the delivery of pre-hospital care. PHTLS is developed by NAEMT in cooperation with the American College of Surgeons Committee on Trauma. PHTLS courses improve the quality of trauma care in your area and decrease mortality. 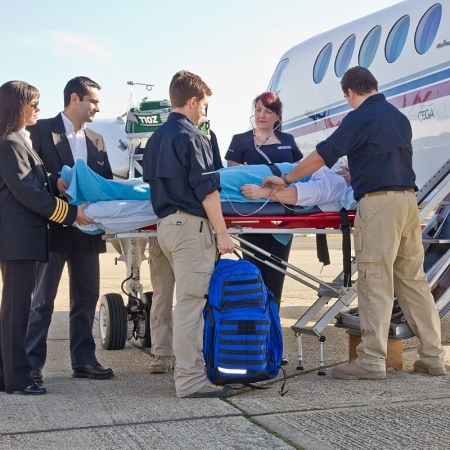 The program is based on a pre-hospital trauma care philosophy, stressing the treatment of the multi-system trauma patient as a unique entity with specific needs. This may require an approach to the trauma patient that varies from traditional treatment modalities. The format is a 2 day provider course, qualifications to enrol are Health professional (EMT, Paramedic, Nurse, Doctor) or CMT1, or others with suitable relevant qualifications and experience. Certification comes from NAEMT and is valid for 4 years. MEDICINE IN REMOTE AREAS (TM) REFRESHER. THE ORIGINAL MIRA COURSE, DESIGNED & DELIVERED BY US SINCE 2004! A 3 DAY REFRESHER COURSE IS BEING OFFERED FOR THOSE WITH AN IN DATE MIRA CERTIFICATE. This course is underpinned with the Medicine in Remote Areas certificate valid for 3 years, endorsed by the Faculty of Pre-Hospital Care, Royal College of Surgeons, Edinburgh. THE MIRA REFRESHER COURSE MAY BE FUNDED VIA ELC FOR ELIGIBLE STUDENTS. The Medicine in Remote Areas Course (TM) has been developed to provide students who already have experience in Pre-Hospital Care with the added skills and knowledge to be able to deal with casualties in a remote environment. The course focuses on stabilisation of the injured through to the knowledge and skills required for prolonged field care. The MIRA course is certified by the Faculty of Pre-Hospital Care, Royal College of Surgeons in Edinburgh, it is designed for medics working in the oil/gas industry, the media industry, expedition and exploration personnel, medical support for disaster relief and humanitarian organisations, mountain rescue, and search and rescue personnel. 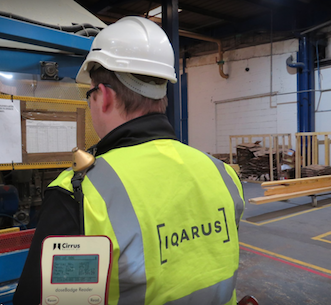 At Iqarus we aim to provide the essential underpinning knowledge and skills with an emphasis of understanding the “why” as well as the “how”. Therefore, when circumstances occur outside of the norm, MIRA trained personnel can adapt for the benefit of their injured colleagues. This course is underpinned with the Medicine in Remote Areas certificate, endorsed by the Faculty of Pre-Hospital Care, Royal College of Surgeons, Edinburgh. A 3 DAY REFRESHER COURSE IS BEING OFFERED FOR THOSE WITH AN IN DATE MIRA CERTIFICATE. SEE REFRESHER PAGE FOR DATES AND PRICES. THE MIRA COURSE AND THE REFRESHER COURSE MAY BE FUNDED VIA ELC FOR ELIGIBLE STUDENTS. “I found all the staff and training extremely good, willing to help throughout from initial enquiry through to the end of course”. Offshore Medic Course Student. An Offshore Medic must be able to work independently of definitive care facilities, have a thorough understanding of his/her limitations and resources, be aware of the dangers of remote environments and be adaptable and flexible to an ever-changing arena. 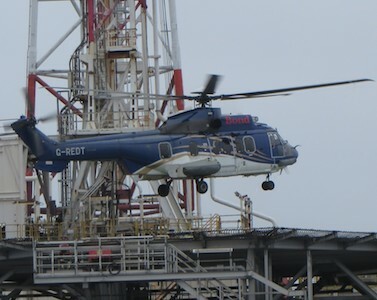 Remote/Offshore Medics operating within the oil, gas and exploration industries are subject to a four-week HSE accredited course. 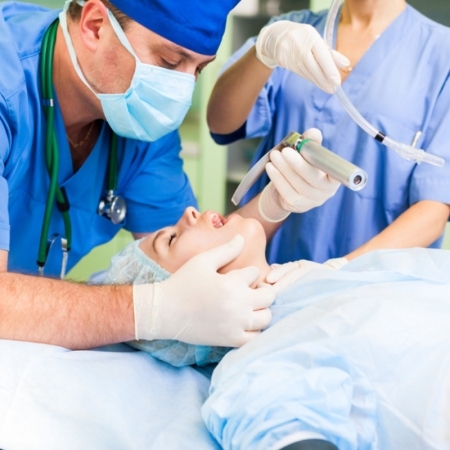 A refresher course after three years is mandatory to allow the medic to continue practising. 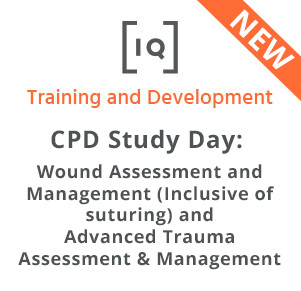 The course developed and delivered by Iqarus is a 20-day course encompassing a 10-day training centre phase covering Trauma, Cardiac, Airway, Environmental and Primary Health modules amongst others. This is followed by a 5-day Primary Care placement and a 5-day placement in the Emergency Department. 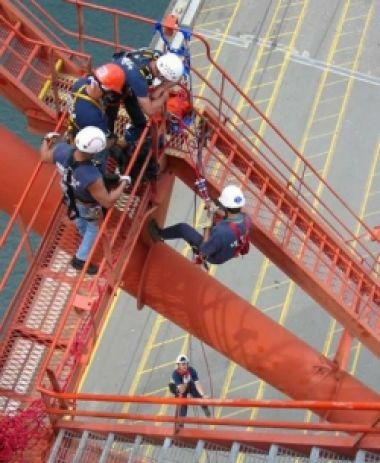 A further optional 5 days to complete the safety training element. At Iqarus we aim to provide the essential underpinning knowledge and skills with an emphasis on understanding the “why” as well as the “how”. Therefore, when circumstances occur outside of the norm, Iqarus HSE Offshore Medics can adapt for the benefit of their injured or unwell colleagues. – Primary Health Care module including Remote Dentistry. – Environmental conditions Including Snakes and Spiders Practical. Candidates must meet the criteria set out in the Offshore Installations and Pipeline Works (First Aid) regulations 1989, (SI 1989 No. 1671). They must be either a registered general nurse or have regular service as a Combat Medical Technician Class 1 within the Army, Leading Medical Assistant within the Royal Navy, Corporal or above in the RAF Medical Branch or RMA 1 or equivalent with proof of continuous service. Other applicants suitability for attendance on the course will be assessed individually based upon qualifications and relevant experience. 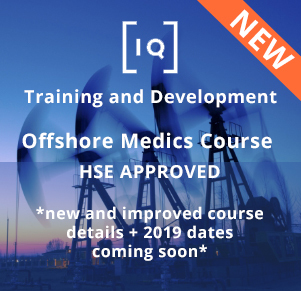 Offshore Medics Refresher course – The refresher course only requires the classroom-based modules and those wishing to refresh their current HSE Offshore Medic qualification may attend the first 10 days of the course. THE OSM COURSE ALONG WITH PLACEMENTS CAN BE FUNDED VIA ELC FOR ELIGIBLE STUDENTS. 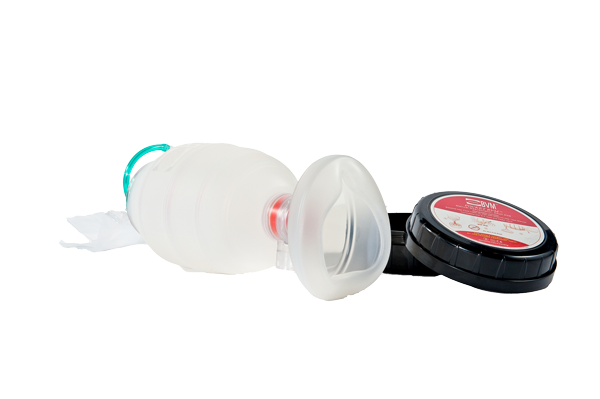 fully functional single use bag valve mask. standard working requirements and operational possibilities while maximising storage space. 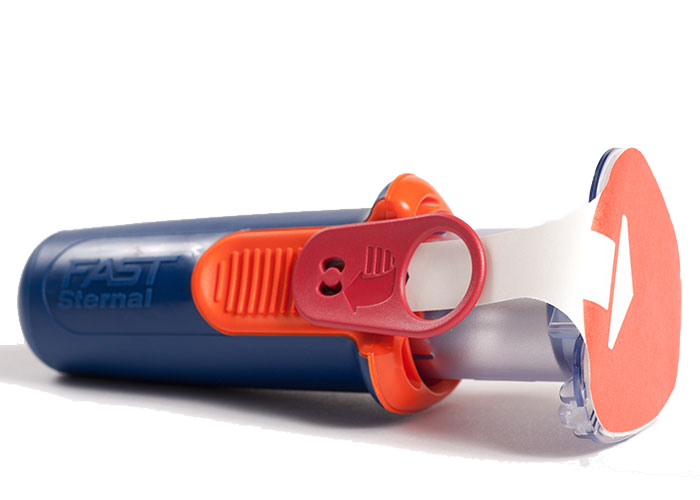 FASTResponder is the newest sternal intraosseous device. 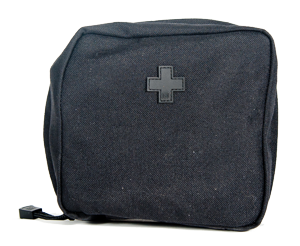 The Iqarus Media pouch is designed around lone or group travellers who could potentially face scenarios whereby basic trauma and emergency care may be required. 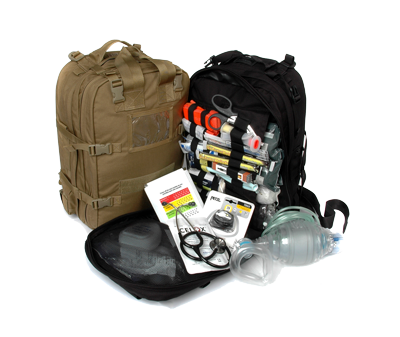 In use globally by Iqarus medics, this Bergen provides the user with a comprehensive array of equipment to treat life-threatening injuries and conditions in a pre-hospital environment.